s beginning to have a significant impact upon how we understand and explore the mind in the modern West”. He is pleased to see that this contemplative impact is helping Western psychology “return to its introspective roots”. The book is in the form of previously published short essays from a variety of publications and as a result does not really develop progressively from section to section. This can give it a slightly disjointed feel. However, once this is understood, it does not really matter, as real insights are to be found in the eight sections, nearly in every essay, often in a simple phrase or short sentence. These phrases are so rich that they have the potential to completely challenge the way we look at reality. I frequently came across a short phrase and put the book down as the richness of the insight was enough to carry me through for a few days or even longer. A book to read and re-read. Ajahn Sucitto, Turning the Wheel of Truth. 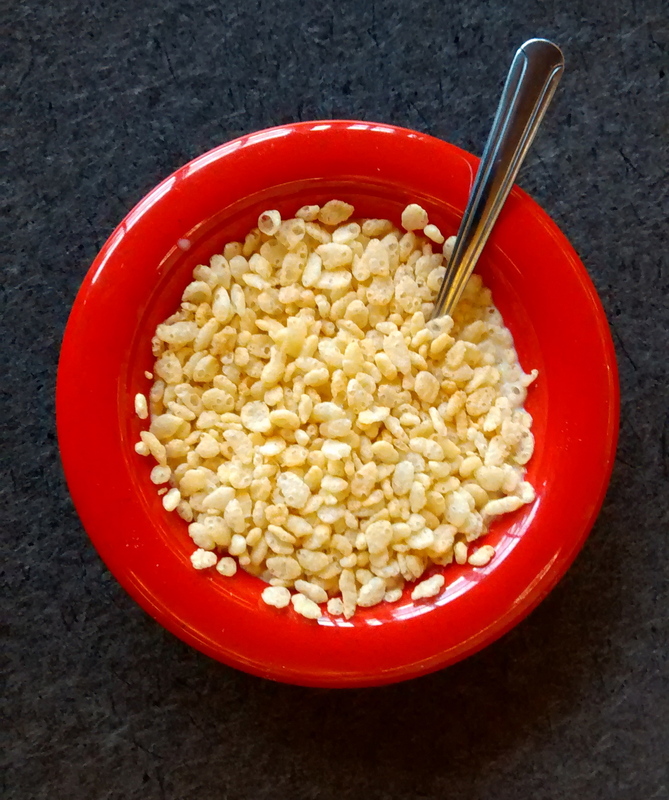 Regular readers of the blog will notice that I frequently return to the Thai forest tradition, in the lineage of Ajahn Chah, for encouragement and insight into the practice of meditation. I have been greatly helped by listening to and reading Ajahn Sucitto who is a part of that tradition, who teaches in a clear modern fashion without losing any of the depths of the tradition. I have returned to this excellent book consistently since reading it first some years ago. It is a commentary on the Dhammacakkapavattana Sutta, the first discourse the Buddha gave after becoming Enlightened and as such contains the foundation of Buddhist thought and practice. This may seem to be a bit dry for our modern concerns but as he assures us on the first page the ancient teaching “is still relevant because it focuses on a common feature of human life—the experience of trouble and stress and the search to get free of it”. The common myth that is perpetuated in society is that the normal person is happy, balanced and integrated – otherwise there is something wrong with them; maybe they’re mentally unstable. We’re even alarmed by unhappy people. Everyone in the media is smiling and cheerful. The politicians are all smiling, cheerful. confident; funeral homes even make the corpses up to look smiling, cheerful and confident. Let’s go back to our experience-body, focus on it, and let things happen within that focus, without pushing or trying to find anything, or come to a conclusion. In that context, when we come out of wanting anything to happen, there’s some spaciousness – and when a feeling comes up, try to attune to that spaciousness. Develop an attitude and energy of not-feeding, demanding, pushing away, skipping off or proliferation around the feeling. This is non-attachment. By practicing in this way we realize that for these few moments we don’t have to solve the problems of existence, or know who we are, or what we’re going to do. To do full justice to the richness of the book would require a review over many pages. So to say it in just one sentence: If you wish to buy a challenging book to deepen your understanding on the underlying Buddhist basis of meditation practice this is the one. 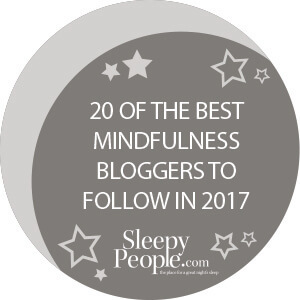 Jonathan Kaplan lives in Manhattan, New York and runs the very helpful blog called Urban Mindfulness. In this book, he looks at ways in which the everyday situations which surround us can become reminders for awareness. The main attractive feature about this short book is its practical nature. Kaplan looks at the elements which make up life in a city and turns them – the journey to work on the subway, the morning cup of coffee, the lunchtime walk in a park – into the nuts and bolts of practice. The book is divided into five sections – At Home, At Play, At Work, Out and About, and Anytime, Anywhere – in which he describes fifty short exercises for use in work and at home, alone or during playtime with our children, to remind us to find the space that exists even in a crowded, noisy big city. In this way he encourages a mentality which sees the cultivation of awareness in the midst of a busy life, not seeing it as the enemy to be avoided or run away from in retreats.Some of the practices are very simple and use the ordinary elements of life which we may not immediately associate with meditation practice: Now that you’ve examined your [paper] stapler in a sensory way, take a couple of moments to appreciate how it connects you to others in the world. 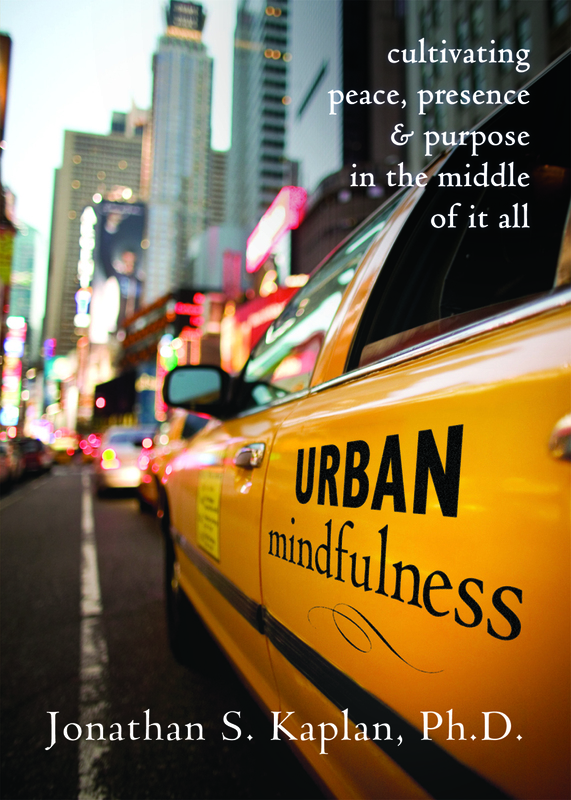 It is the practical nature of the exercises which make them so useful for cultivating everyday, informal mindfulness, especially for readers who live in urban settings. It is a good balance to those mindfulness and meditation books which seem more suited to retreat practice or to living in a monastery. It is suitable for beginner and experienced practitioner alike. Steve Flowers and Bob Shahl, Living with your Heart Wide Open. 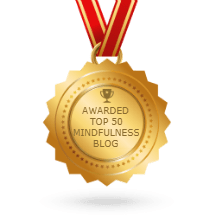 Over the past few years we have seen mindfulness practice being applied to specific areas where people may have difficulties, such as anxiety or depression, or indeed when people struggle with issues such as shyness in public or procrastination. It is nice to see that we are also beginning to find reflections on the even more fundamental issue of the sense of self, or our basic sense of unworthiness, themes which I have covered frequently in some of the posts in this blog. 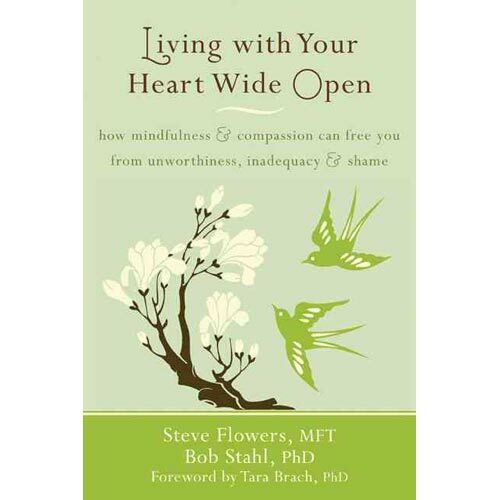 One book which covers these themes, and which I can recommend wholeheartedly, is entitled Living with your Heart Wide Open, written by two of the most experienced mindfulness teachers in the U.S., Steve Flowers and Bob Stahl. 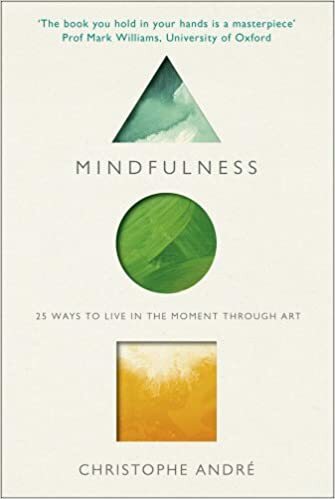 A nice title, but, in fact, the subtitle reveals more about the material covered, in a very accessible fashion, in the chapters: “How Mindfulness and Compassion can free you from unworthiness, inadequacy and shame“. This book offers a mindful path to breaking free from these habitual thought patterns. Through meditation and inquiry, you can discover where this negative self-talk came from and why you are so judgmental towards yourself. Addressing this lack of self-compassion is essential. In a sense our very existence is threatened by an endemic of self-loathing. War essentially begins inside the individual, stemming from a sense of alienation and separation from the interconnectedness of life. Making peace within is one of the noblest endeavors you can pursue – for yourself, for others and for the world (p.5). One advantage of this book is that it presents recent psychological research on the Narrative Self, Attachment, Shame and Self-Esteem in a very straightforward manner, which will be of great benefit to readers coming to this material for the first time. It does not go into too much depth as it always keeps in mind that the purpose of the book is to help the reader in a practical manner in areas that are potentially life-changing. I particularly liked chapter five which deals with Self-Compassion, the subject of a number of studies and books at the moment. The authors show how cultivating self-compassion is necessary in this modern age, with its excessive emphasis on continual self-improvement, and then lead into two practices to allow the reader develop it better in their daily lives. These reflections and meditations are rich enough to keep returning to them again and again, allowing a gentle healing of some of the deeper parts of our psyche. As you continue to practice self-compassion, you may notice more and more things about the self you’ve created with all of your old stories. Perhaps you tried to be especially good to counterbalance the problems in your family. Perhaps you learned to be generous of yourself as a way of earning the value you felt you lacked. Self-compassion lets you be with all the hurt, loneliness and fear that the narrative-based self has concealed. In the open heart of self-compassion, the wounded child within you will begin to heal (p. 105). To sum up, a book that could be a very lovely companion on our journey as we move towards greater acceptance of our our selves and our history, allowing us to see through our stories and live in the present more richly. 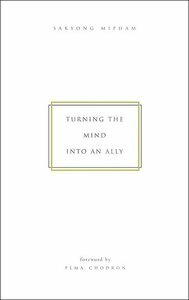 Sakyong Mipham Rinpoche, Turning the Mind into an Ally. 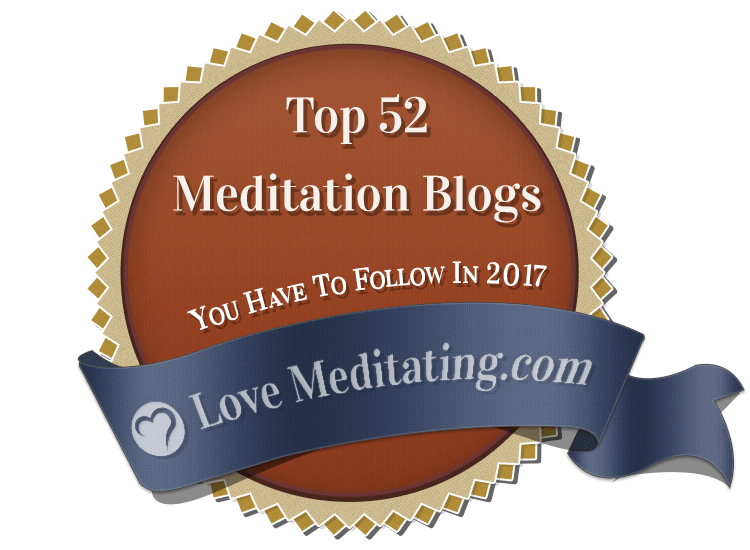 As well as books that apply mindfulness to problems or aspects of our life, it is good to strengthen our practice by reading books that focus on meditation in itself. Good ones are not easy to find, but this one – Turning the Mind into an Ally– written by Sakyong Mipham Rinpoche in 2004 is one of the best that there is. 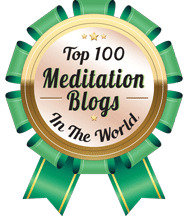 I have returned to it on numerous occasions over the years, because it is a serious, but accessible work that looks at meditation as an extended exercise in mind training and gives the tools to do this. The bewildered mind is like a wild horse. It runs away when we try to find it, shies when we try to approach it. If we find a way to ride it, it takes off with the bit in its teeth and finally throws us right into the mud. We think that the only way to steady it is to give it what it wants. We spend so much of our energy trying to satisfy and entertain this wild horse of a mind. This is an excellent hands-on manual for those who wish to deepen their understanding and practice of meditation as a way of working with the mind. It is an encouragement to practice and as such is a valuable addition to any library. I always like Ezra Bayda’s writing, especially At Home in the Muddy Water. He is from the Zen tradition, having trained with Charlotte Joko Beck, at the Ordinary Mind Zen School. He is a student of meditation since 1970 and currently teaches at the Zen Center in San Diego. His latest book is entitled Beyond Happiness: The Zen Way to True Contentment. It was nominated as “one of the best books of the year” by the magazine Spirituality and Health. This book bases itself on the most recent research on happiness, such as that found in The How of Happiness by Sonja Lyubomirsky, where we learn that external circumstances, such as our career, relationships and prosperity are not as important in our overall happiness as we may think. Rather, we are born with a certain predisposition to happiness and then can work on our happiness by the way we deal with our everyday circumstances. In other words, our “intentional activities”are largely responsible for how happy we are – mindful actions that we do every day to achieve a happier life. Eric Bayda develops this concept by asking three key questions: Am I truly happy right now? If not, what blocks it? And, can I surrender to what is? At the end of the day he comes up with two key ways that we can work at developing our sense of contentment and removing the things that block and poison our heart, namely, cultivating gratitude and actively forgiving. 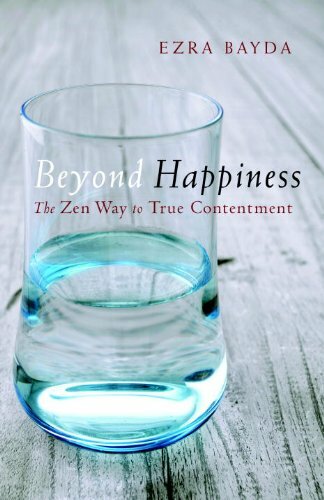 This is a nice book in the current trend of applying Buddhist principles to the psychological areas of growth in our lives and practical ways of developing contentment. Perhaps one of the commonest places we get stuck and consequently one of the places that most prevents happiness is holding onto resentments. If there is even one person we cannot forgive, it closes our hearts in bitterness and will prevent us from experiencing the equanimity of genuine happiness….It may be easy for us to be kind, and also forgiving, when life is going well. But it is only when life gets difficult that the depth of our spiritual practice is revealed. For our kindness to be real it cannot depend on how others treat us, or how we feel at any given moment. A book with a more scientific focus, written by a neurologist and a neuropsychologist. It is an indication of the cross fertilization that we see going on between ideas from the different disciplines of science or medicine and spirituality. It goes into the practical science behind why we suffer and are unhappy and then why we can develop habits that lead towards happiness. It contains sequential exercises to help us strengthen the development of the brain in positive ways. It is easy to understand and lightly written, skilfully getting across scientific facts without dumbing down excessively as a result. It is an intelligent use of scientific research in a very practical way to help us realize the full potential of the brain, using meditation and practical guided imagery exercises as tools. What flows through your mind sculpts your brain. Thus, you can use your mind to change your brain for the better … This book aims to show you how. The title of this book promises a lot but the book itself justifies it. Matthieu Ricard is the son of a famous French phisopher, who gave up his promising career as a Biochemist and turned Buddhist monk. He has been the subject of intensive clinical tests at the University of Wisconsin, as a result of which he is frequently described as the happiest man in the world. 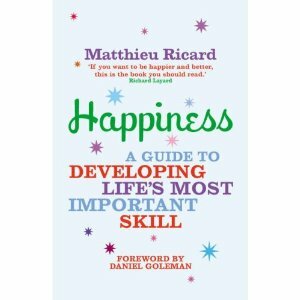 He outlines his vision of happiness as a skill that can be developed. This is a lovely book which makes easy work of the scientific arguments it presents. Most people exist like beggars, he says, “unaware of the treasure buried beneath their shack“. However, we can find it and develop our potential as if “polishing a nugget”. Eventually we can achieve happiness, “like a bird soaring into the sky when his cage is opened”. This alone could be a fine practice. “The four noble truths are about “suffering,” how it arises, how it ceases, and a way to bring around that ceasing. These occupy the center of the Buddha’s teaching, because they already are central to human experience. Everyone knows the feeling of lack or loss or conflict in their lives: this is what the Buddha called dukkha, often translated as “suffering,” but covering a whole range of meanings and nuances. At times, we feel it as a sense of need, or a dissatisfaction that can vary from mild weariness to utter despair. This feeling can be triggered either by physical experience or by mental impressions concerning ourselves or other beings. It is a feeling characterized by a sense that things are “out of balance.” Even if we are physically well and mentally skilled, we can feel disappointed that life isn’t offering us enough, or that we’re not making enough of it or doing enough, or that there’s not enough time, space, freedom. We can feel anxiety over the state of the planet and the environment; our perceptions of the present and the future are not secure and problem free. So that pulls on us emotionally. Then there’s the sense of “too much”—feeling overwhelmed, not having enough space, time, and ease. In both cases there’s a continual sense of subtle or gross stress. Just reflect upon your activities and pursuits: notice that they involve a constant effort to change or cope with what is disagreeable, or to stimulate well-being. This striving is universal. It is worthwhile considering that, however altruistic our actions are, the feeling of unsatisfactoriness is the same. This feeling is what the Buddha pointed out as the dukkha that we can resolve. A special thanks Karl, for you reading all these books and singling out the best. I have read five of these books and the last Matthieu Ricard has hit a chord. Excellent reads and insight for our journey of life.